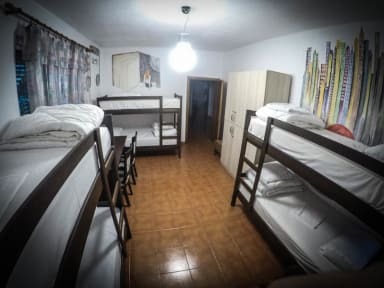 Arka Hostel i Shkoder, Albania: Bestill nå! Arka Hostel opened the doors since 2015. In the last months we changed the location. 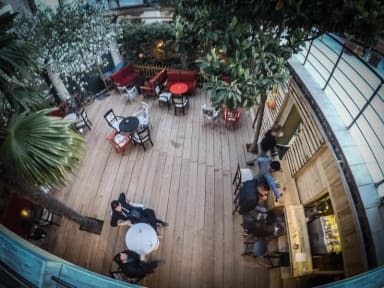 Arka hostel is set in what one Hostelworld reviewer calls a 'spacious, lovely space' with a distinctly youthful and joyful Albanian atmosphere. Many of our guests say they 'would always go back' to this hostel when in Shkodra. The 'knowledgeable', 'lovely and helpful' staff are frequently praised for providing 'very focused, personalized attention' to guests, while visitors can 'meet new people and have a good laugh' in the downstairs multi-functional bar. Our rooms are very clean and we offer the best quality in town for low price. Whether you're a backpacker or a budget traveler, you will enjoy Arka Hostel. The grand charm of the new building combined with our great service and location will be one of the most unique city experiences you will have in Shkodra. Arka Hostel boasts not only a fantastic Shkodra city location and building building but our services are unbeatable! Arka Hostel is located in the Shkodra City Center, near the only city cinema. You can visit all interesting sights in 5 to 10 minutes from our property. The Witness and Memory site (communism museum) is only 2 minutes walk from Arka. Marubi, National Photography Museum is only 5 minutes walk from Arka. Main churches and mosques are not more than 5 minutes. The historical part of the city is 2 minutes walk from Arka. A shared kitchen very well equipped is available for or guests. Further in the ground floor there is Arka Bar where breakfast, for those who prefer brioches, coffee espresso or cappuccino (included in the price) is available. The bar is the fantastic place to make new friends and to participate in the cultural events that Arka Youth Centre organises almost every day. Free Wi-Fi. Free linen. Free Breakfast. We have a 24 hour reception. Parking for 1.5 euro.